There’s always something to be grateful for, but the things that shaped 2018 to be the year it was have really augmented our gratitude. 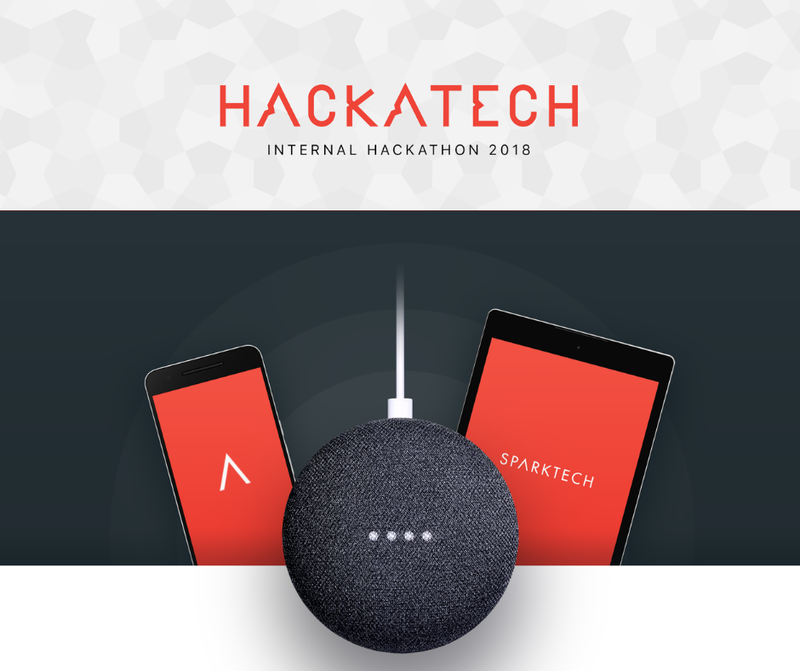 At the beginning of the year we organised Hackatech — our first internal hackathon. It involved building the appsolute spark: a custom web or mobile application that supports its users by solving a specific problem while highlighting the potential of a chatbot input. The teams that signed up had a lot of creative ideas and approached things so differently that the whole 24h journey was a rewarding first experience. Another first for us with regard to expanding our tech stack was building the first Java Backend team. Actually, the same degree of novelty influenced the whole summer internship program, as it attracted new Java and Big Data roles. 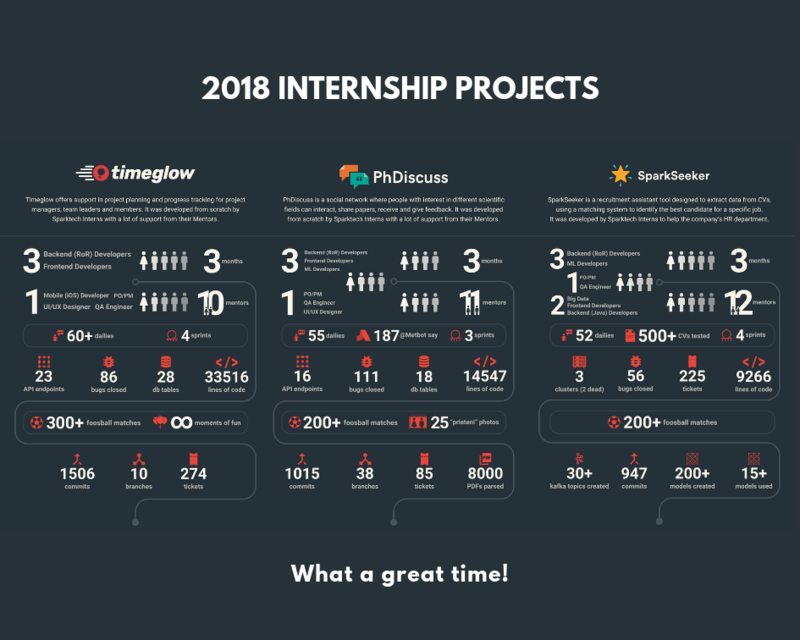 It was also the first summer we dared and succeeded with building 3 cross-functional internship teams that developed 3 separate projects from scratch and the results were way beyond our highest expectations. The series of inaugurations continued with our first courses as teachers at UniBuc. In support of the Ruby on Rails and Machine Learning communities, we started teaching optional courses within UniBuc. Thus, our colleagues have broadened the way they applied ML and RoR concepts to another dimension. In 2018 we had our first rafting experience as a team which was a joy, we partied more and went on more trips together outside Bucharest. At work, we got together a lot of times for ping pong, foosball and darts. Actually, from the first days of summer we expanded the Sparktech office space with an additional floor in the building. 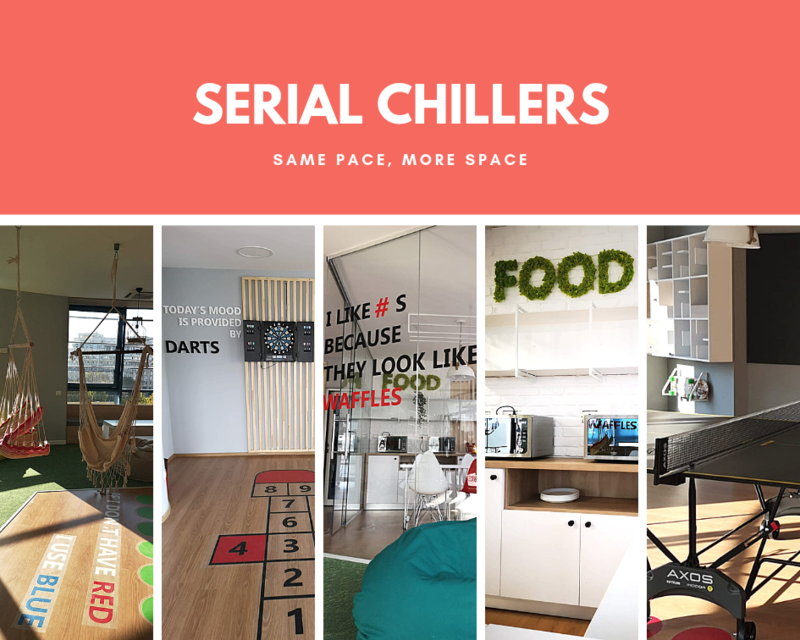 5 new meeting rooms, standing desks, a brand new kitchen and a bigger relax room were all part of the decorating challenges associated with this upgrade. 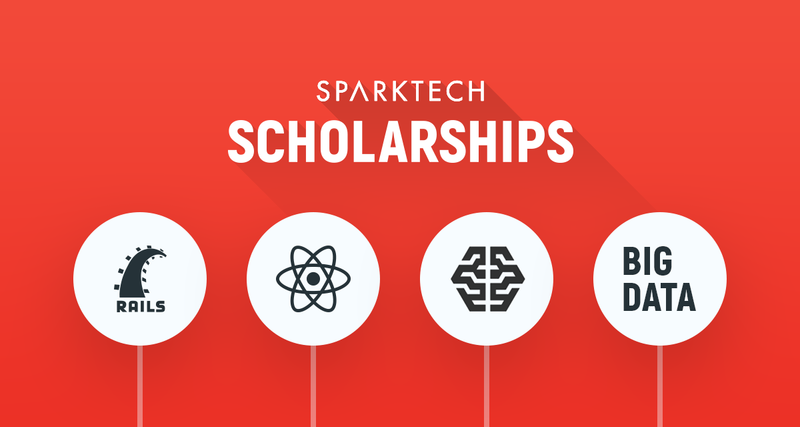 As far as traditions go, the Sparktech Scholarships program carried on for another year with the specific technology stack: Machine Learning, Big Data, Ruby & React to support students in keeping their projects on track. 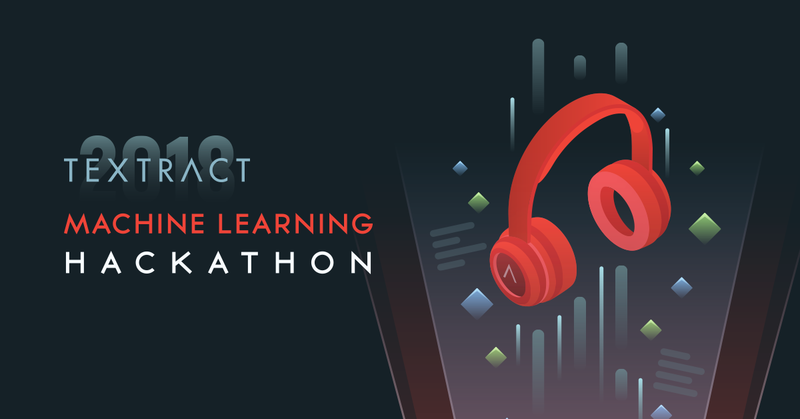 Another tradition milestone for the end of the year was our Machine Learning hackathon. It was the third edition of Textract and the first time we hosted it. It gets more and more challenging with every year that goes by. This time it lasted 24 hours and 15 teams signed up to work on countless song lyrics. We wrapped up as 2 teams won the competition. We’re proud of everyone involved and thank each of you for leaving your mark on this event! Along the way, we discovered 2018 to be a milestone for reinforcing traditions, but also a constructive time for firsts.